The following is a useful collection of concrete-related links. for the concrete pavement industry. Technical information and resources for concrete construction, engineering and chemistry. ACPA is the premier national association representing the concrete pavement industry. NRMCA supports continued expansion and improvement of the ready mixed concrete industry through leadership, advocacy, professional development, promotion and partnering. Founded in 1916, the Portland Cement Association represents cement companies in the United States and Canada. It conducts market development, engineering, research, education, and public affairs programs. With today’s innovative concrete homebuilding systems you can build beautiful concrete homes in any style with all the added benefits like energy efficiency, safety, and peace and quiet. From the Portland Cement Association. From cost comparisons with asphalt, to curb appeal and green building credits. 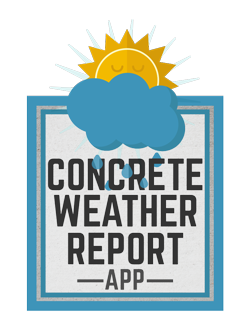 The full scoop on Concrete Parking lots from the National Ready Mix Concrete Association. This site describes the services provided by the National Ready Mixed Concrete Association (NRMCA) and our affiliated local, state and regional partner associations in support of building design, construction and maintenance. The Pacific Southwest Concrete Alliance provides programs, information & technology about concrete products and processes to design and construction professionals throughout California and Nevada. Founded in 1904 and headquartered in Farmington Hills, MI, USA, the American Concrete Institute is advancing concrete knowledge by conducting seminars, managing certification programs, and publishing technical documents. The mission of the Nevada Department of Transportation is to provide a better transportation system for Nevada through unified and dedicated efforts. Caltrans improves mobility across the state of California. With core values based on collaboration, environmental stewardship, education, networking and diversity, the Nevada Chapter of the USGBC formed in 2003 to bring focus and vision on sustainable development and green building in Nevada. The U.S. Green Building Council is a non-profit organization that certifies sustainable businesses, homes, hospitals, schools, and neighborhoods. CSI was formed to help the cement industry to address the challenges of sustainable development. The business leaders of a group of major cement companies lead the initiative. GreenSage provides reliable information about the issues we face concerning our built environments. You can learn about sustainable materials, quickly locate professional assistance in your area and easily connect with resellers to recycle materials, enabling you to easily make informed choices that best meet your own needs and projects.